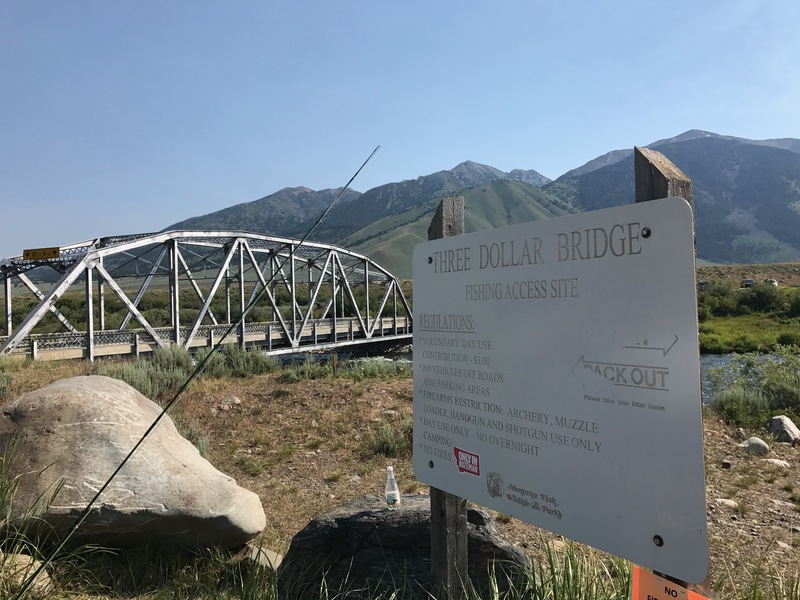 We were still stringing lines and slipping on wading boots when my preteen nephew came running into the parking area at Three Dollar Bridge on the Madison River. “Look how big this bug is,” he squealed while holding an enormous, and still squiggling, insect out for us to behold. It didn’t take long to figure out what fly we were going to start with on this Fourth of July morning in Montana. Luckily, the anglers on this family trip had done some homework. We stopped at a fly shop on the journey to the Madison, picking up enough 3-inch salmonfly patterns to mimic a natural hatch. Walking to the river, I spotted more of the monster Thanksgiving meals flying along the banks. One landed on my hat, making an audible thump upon its arrival. 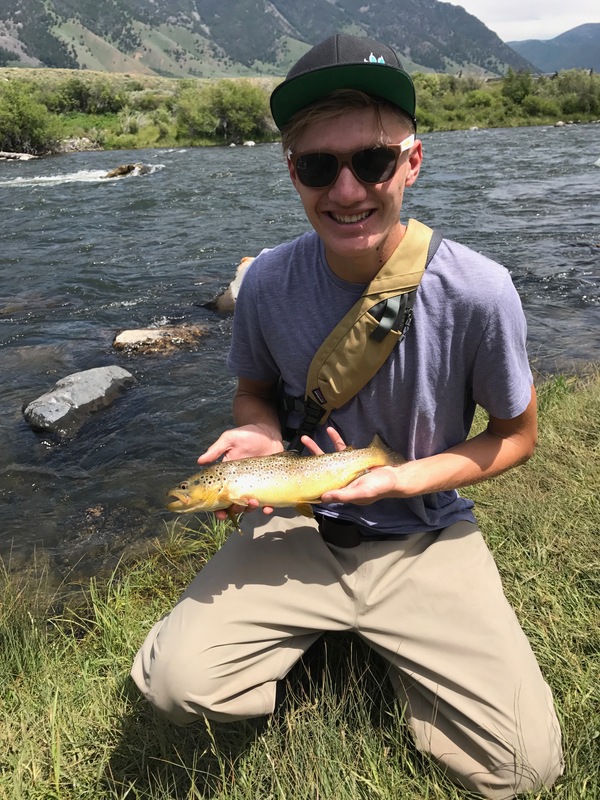 I fully expected a 22-inch trout to engulf the miniature bird tied on the end of my son’s line on the first cast. It didn’t happen - nor on the next cast or the plop on the water after that one. The famous salmonflies were hatching, crawling and even landing in the water, but the fish didn’t seem to notice. Maybe they were in one of those food-induced comas you hear so much about around the holidays. Wait. There was a rise - and another one. But there were no salmonflies on the surface. It was then I noticed three black bugs crawling on my arm. The same annoying bugs I’d been wiping off my face for the past 45 minutes. Caddis – lots and lots of caddis. I pondered tying on a new fly, but then something else caught my attention. Was that a Yellow Sally stonefly? Not nearly as large as the salmonflies, they were also now littering the sky. My father-in-law walked up about then. We talked about the fishing. “This is what you call a complex hatch,” he said while digging through his fly box and confessing he had yet to land a fish as well. It then occurred to me that the fish were gorging themselves during this cornucopia, just not on the surface. I was sure the trout were feeding on nymphs. This presented quite the quandary. 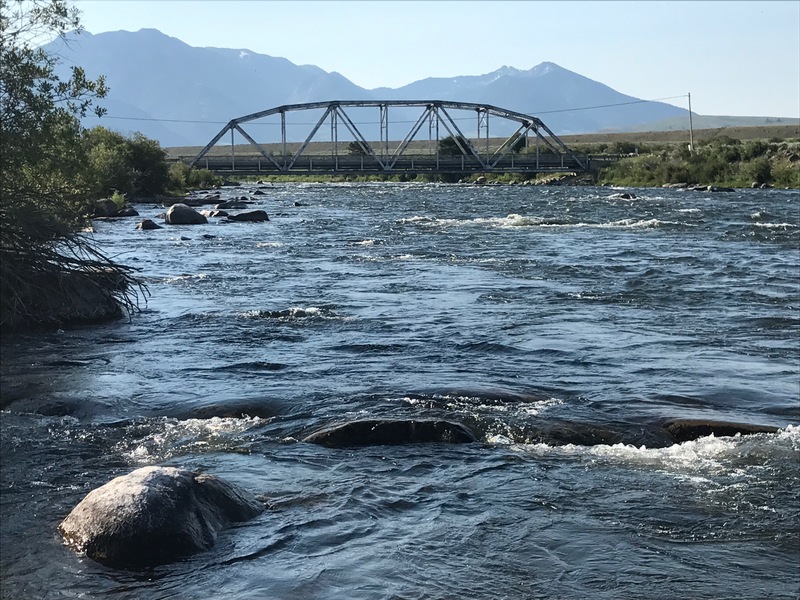 I’m not a dry fly-only angler, but I was determined to see my pretend salmonfly disappear in the gullet of a Madison River lunker. Besides, I hate changing leader and tippet. This was also a family trip, not a fishing trip, and we had other things to do on this holiday outing. Time was short. So I stuck with it. So did my son and brother-in-law. I started casting along the banks. Plopping the big fly right on the edge, where many of the other anglers like to stand to fish structure in the middle of the river. It finally happened, but the take was so slow it mesmerized me. The fish had the fly down 3 or 4 inches in the water before I set. There was nothing there. I had missed my chance. Inspired by at least some action, and the fact it was nearly time to head back to the cabins, I continued to hammer the bank. Apparently, the fish on the Madison have a slow motion speed reserved for big salmonflies. Three more times the fish hypnotized me with a casual, almost forced, take and each time I watched my fly come zinging back through the air. I eventually realized the fish were only grabbing the end of the fly, the part where foam and other materials dangle down past the hook. The trout were taking my fly; they just weren’t grabbing the part that would bring them to my net. I had wandered farther downstream than the others and it was about time to leave. I picked up the wannabe B-52 Bomber that had just landed in the bush next to me and threw it out over the river. He had too much cargo to make it back to shore and soon dropped into the drink. The salmonfly floated motionless for 8 feet and then decided to wiggle. Bad decision. An enormous mouth opened up like a hydraulic cargo door and accepted the bug. I muttered a swear word or six and hit the trail for the parking lot. I was almost there when my son came running down the trail. “I caught one!” he said with a smile that would have fit two salmonfly patterns in it. I didn’t dare ask what he had been using. “I never changed from the one you tied on when we got here,” he said, reading my mind. 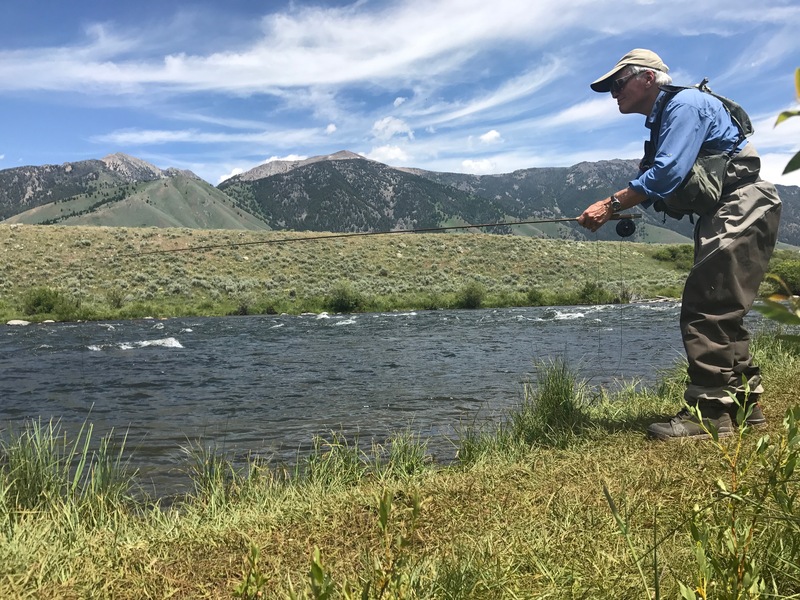 William Prettyman with the fish he landed with a salmonfly imitation. Photo courtesy of Matt Barrigar. Motivated by this excitement, and taking advantage of the delayed departure, my brother-in-law decided to sneak in a few more casts. It wasn’t long before his fake seven-course meal ended in a hook up. I ran to net the fish for him, jealous to see the salmonfly hanging in the corner of its mouth. In the end, everybody in our party caught fish except me. Sometimes I regret being stubborn.